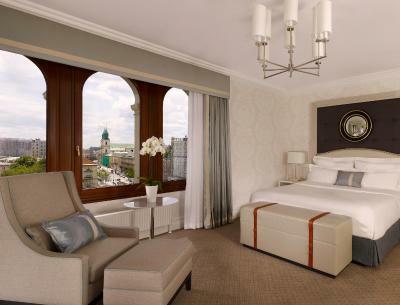 Lock in a great price for Hotel Bristol, A Luxury Collection Hotel, Warsaw – rated 9.3 by recent guests! The attached Cafe' Bristol is an amazing place to stop off for a quick cafe or breakfast before you head out for the day. The Spa and Pool, is very noteworthy and was quite under used while we were there, making for a nice little private getaway. The bartender manager is amazing here one of the best in Europe. Great location, super helpful stuff, very nice gym, excellent breakfast - I recommend this hotel to anyone looking for luxury and comfort. Good location, good service, beautiful hotel. It's perfect! This hotel is perfect- location, facilities, staff, the room was amazing. 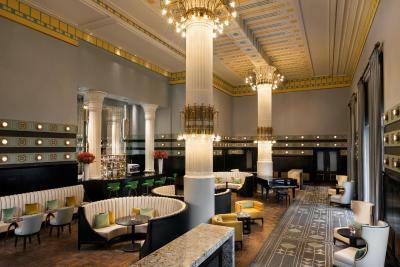 Beautiful historic building with fully up-to-date modern interior. Excellent food in the restaurants, helpful staff. Perfect location. Hotel was exactly what I had hoped to experience. The Staff, service and attention were perfection, including chocolates at turn down service in the evening. The lobby, room, and restaurants were beautiful and extravagant. There's a book, on the history of the hotel, that you can purchase at the concierge desk for $10. Old Town is just steps away. We have been staying at the hotel for about 5 years now. 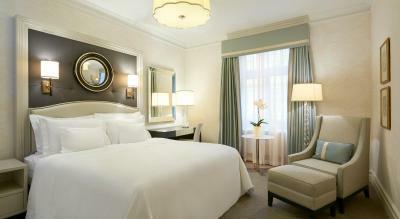 We like that it is a luxury hotel with old time class. The location is excellent to the old town and the main shopping street. 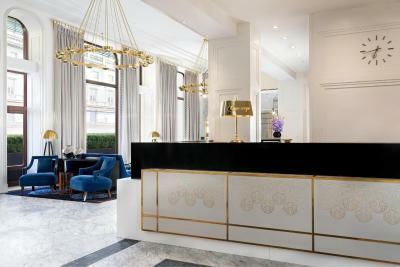 The concierge is helpful with providing ideas as to what to see. The cleaning staff was very accommodating around our time schedule and did a good job cleaning the room. One time there was noise in the court yard from a wedding past midnight. When we called down, they had the people leave immediately. 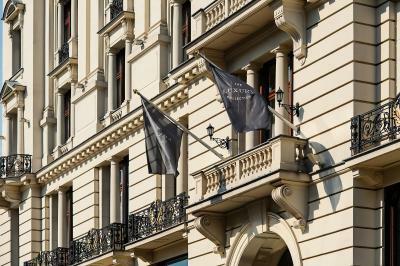 For a luxury hotel it is a great deal. 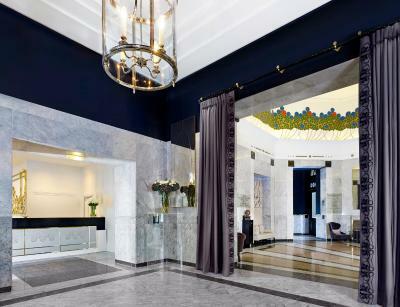 Hotel Bristol, A Luxury Collection Hotel, Warsaw This rating is a reflection of how the property compares to the industry standard when it comes to price, facilities and services available. It's based on a self-evaluation by the property. Use this rating to help choose your stay! 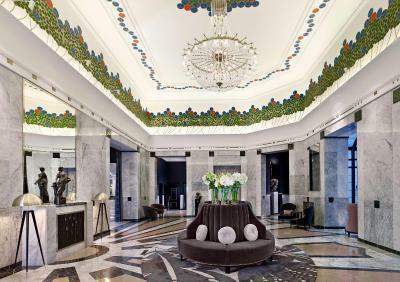 One of our top picks in Warsaw.Hotel Bristol, A Luxury Collection Hotel, Warsaw, founded by Ignacy Jan Paderewski, the famous pianist and politician, is one of Warsaw’s most remarkable landmarks blending history and contemporary luxury. 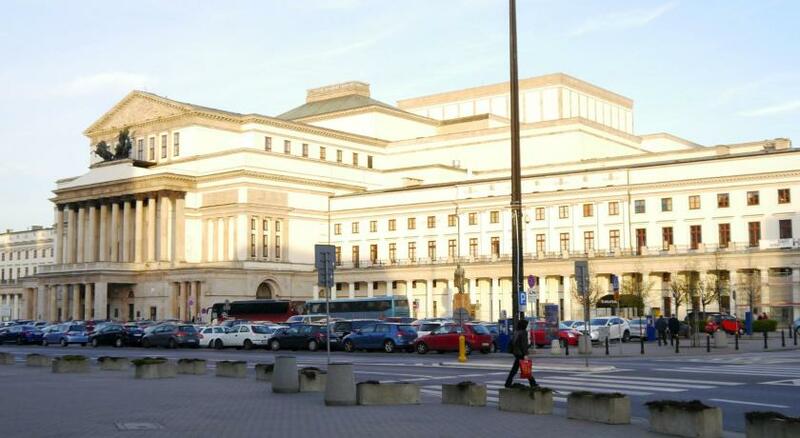 It is located on the historic Royal Route, next to the Presidential Palace and a short walk from the Old Town, the Royal Castle, and Polish National Opera. 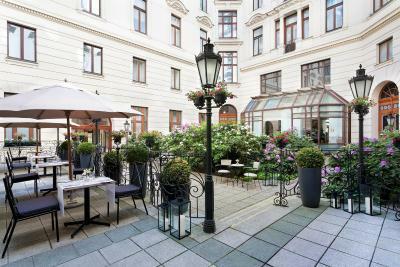 Hotel Bristol, Warsaw features majestic neo-renaissance façade and romantic interiors characterized by Art Deco elegance. 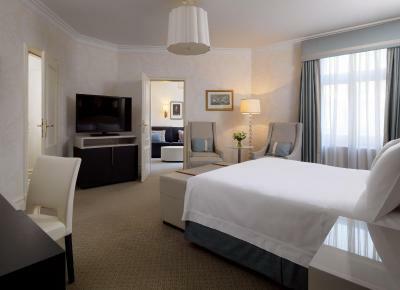 All air-conditioned rooms are fitted with an LCD TV with satellite channels, a mini-bar and free mineral water. Apartments come with a Nespresso coffee machine and tea making facilities. 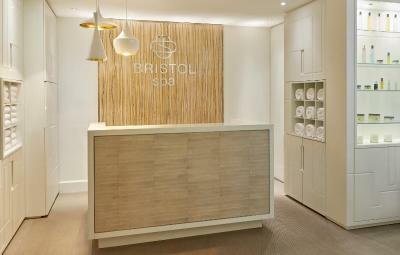 Bristol spa combines a scenic relaxation area, indoor pool, gym, sauna, and steam room. A variety of beauty procedures is offered and it includes face regeneration, caring and oval improving treatments. 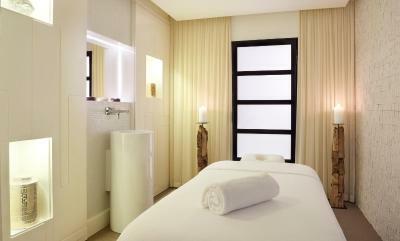 Guests can benefit from high quality ESPA cosmetics. 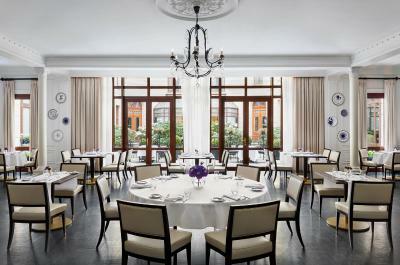 The famous Marconi Restaurant serves Italian seasonal cuisine and there is also the Bristol Wine Bar. 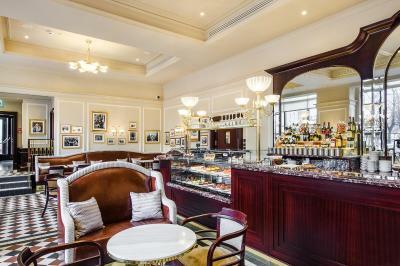 At the Bristol Café guests can enjoy fresh coffee and delicious cakes and desserts. 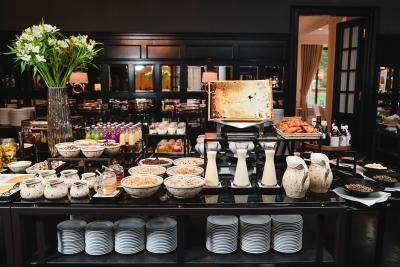 In the morning a varied breakfast buffet is served in one of the two restaurants. Breakfast boxes are also available. Front desk staff is available 24 hours a day and can arrange city tours and car rental. 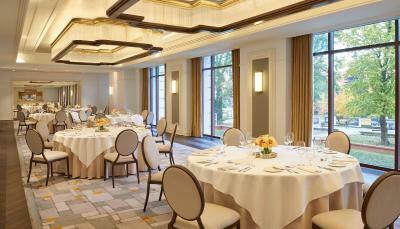 Wedding and banquet facilities are also available to celebrate special occasions. Airport pickup in Mercedes S Class and Mercedes E Class limos can be arranged at extra charge. Free 8 Mbps WiFi is available in all areas. There is also a computer station to use. 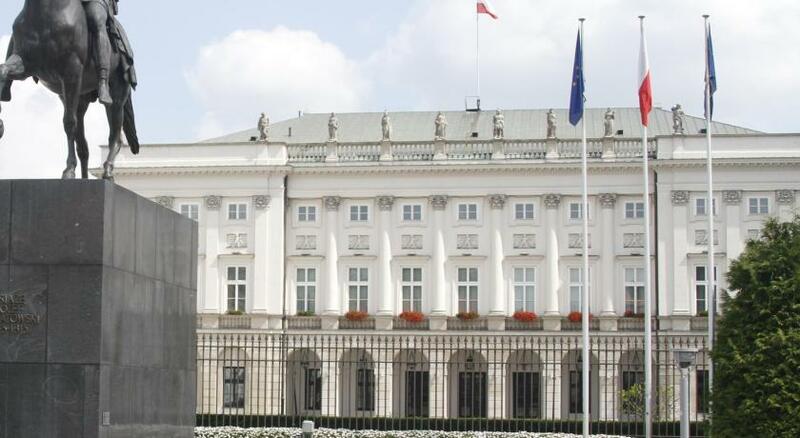 When would you like to stay at Hotel Bristol, A Luxury Collection Hotel, Warsaw? This double room has a mini-bar, bathrobe and tea/coffee maker. This double room features a bathrobe, mini-bar and tea/coffee maker. 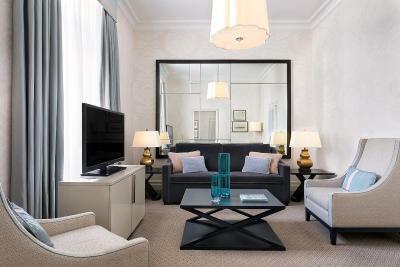 Guests of Junior Suite are welcomed with a bottle of Prosecco and a box of Florentines. Additionally, guests may enjoy the unlimited access to the Bristol spa facilities - with swimming pool, sauna, steam bath, gym. 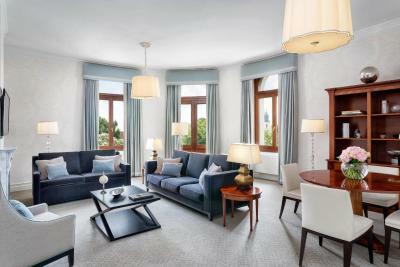 Junior Suite of 41 to 51 m2 are arranged in timeless Art Deco style, enriched with modern design elements. 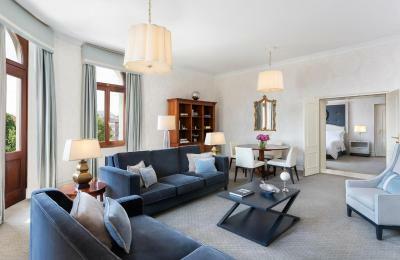 The suite is either separated into the stylish bedroom and a living room or accommodates it guests in a spacious suite combining the sleeping & living area. Guests of Deluxe Suite are welcomed with a delicious Tort Bristol and an invitation for a glass of wine to the unique Bristol Wine Bar. 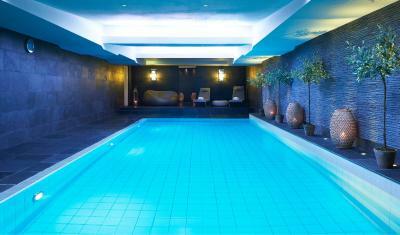 Moreover, guests may enjoy the unlimited access to the Bristol spa facilities – with swimming pool, sauna, steam bath, gym. Spacious interior of the apartment of 47 to 54 m2 is inspired by Art Deco style and newest trends, creating atmosphere of relaxation and quietness. 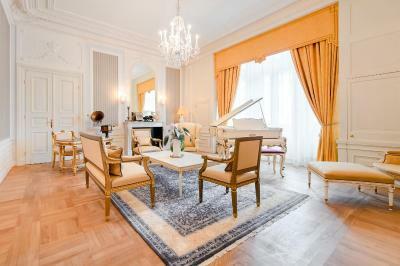 This apartment is made of stylish bedroom with functionally designed living room. Guests of Deluxe Suite will enjoy the array of benefits inclusive of butler service, a bottle of wine & delicious Chopin cake upon the arrival and unlimited access to the swimming pool, sauna, steam bath, gym. 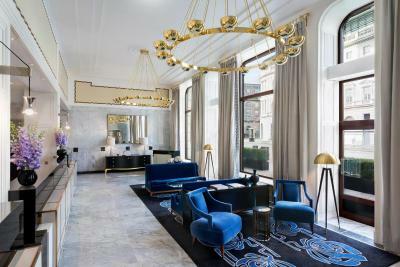 The suite spacious interior of 50 to 57 m2 is inspired with Art Deco style and newest trends, creating atmosphere of elegance and luxury. Suites of this category are divided into a bedroom and a comfortable living room. 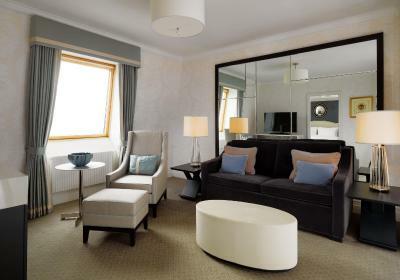 Guests of Deluxe Suite experience the variety of exclusive benefits inclusive of butler service, complimentary Mercedes limousine transportation from/to the Warsaw Chopin Airport and bottle of champagne, assortment of snacks and fresh flowers upon welcome. 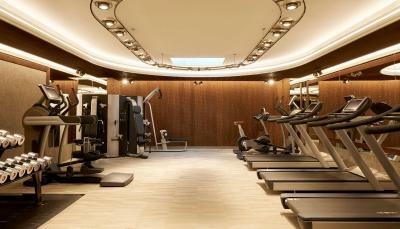 Moreover, the guests may enjoy the unlimited access to the swimming pool, sauna, steam bath and gym. 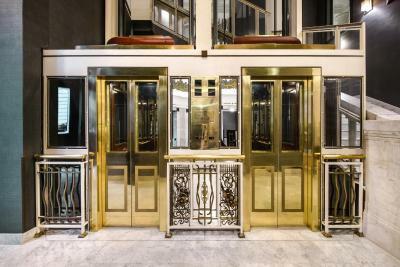 This spacious corner suite in Art Deco style referring to rich historical heritage has 91 to 99 m2 and has a beautiful view over Krakowskie Przedmieście and a green park. 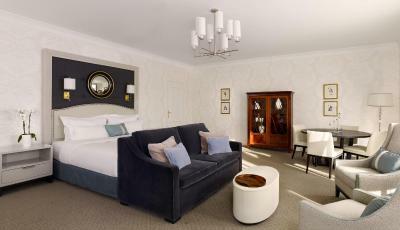 The suite has a bedroom with a walk-in wardrobe, a dining room, big resting area, a bathroom and a guest toilet. 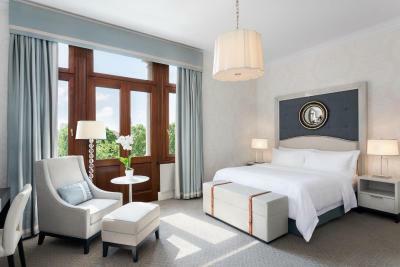 Guests of Paderewski Suite experience the variety of exclusive benefits inclusive of butler service, complimentary Mercedes limousine transportation from/to the Warsaw Chopin Airport and 60-minute massage for 2 people per stay in Bristol spa. 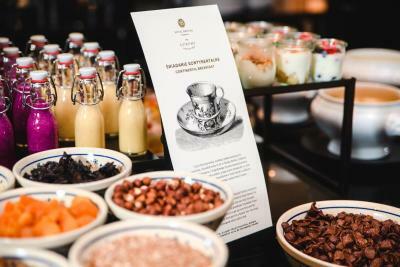 Moreover, the guests may enjoy complimentary open bar in the room with assortment of alcohols, unlimited access to the swimming pool, sauna, steam bath and gym and fresh flowers upon welcome. 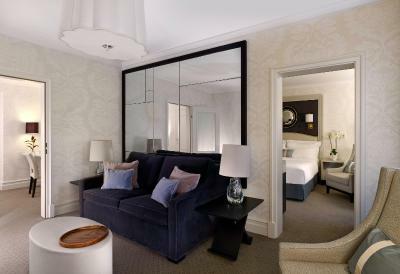 The suite can be connected with up to 6 adjoining rooms, creating the space of 370m2 (depending on availability). From the windows and a spacious balcony, one can admire the view over magical Royal Route. 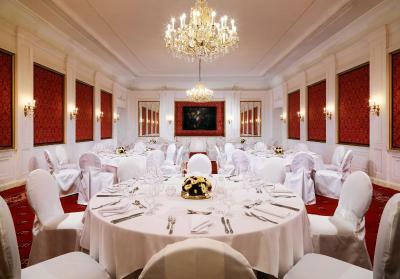 Hotel Bristol with more than a century of heritage has always been in the center of Warsaw’s social and cultural life and has served as an unequalled choice for such acclaimed minds, as Queen Elizabeth II, Woody Allen, Pablo Picasso, Sir Paul McCartney, Marlene Dietrich, John F. Kennedy and many others. 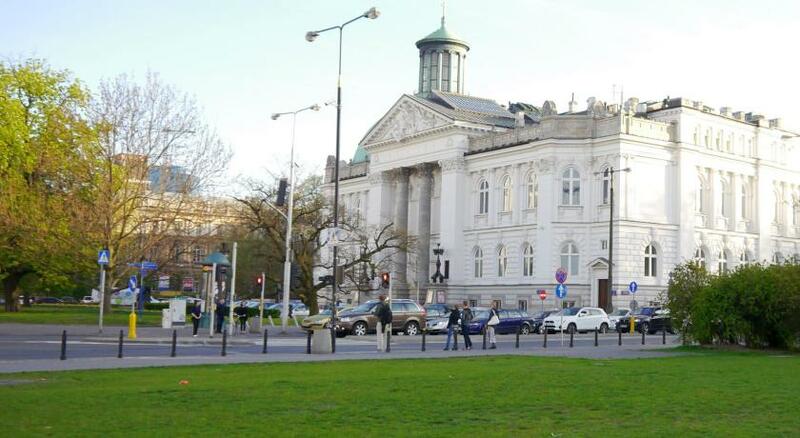 The hotel is located next to the Presidential Palace, at the prestigious Route Route, just a step away from the Old Town. 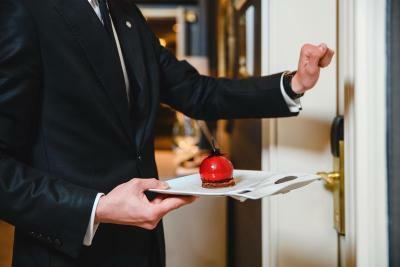 Guests who seek for an intimate ambiance and bespoke services always choose Bristol for its spirit, exquisite atmosphere and discreet service, providing experiences tailored to individual needs. 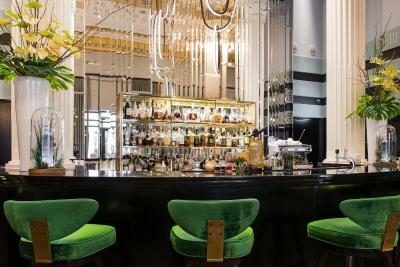 House Rules Hotel Bristol, A Luxury Collection Hotel, Warsaw takes special requests – add in the next step! 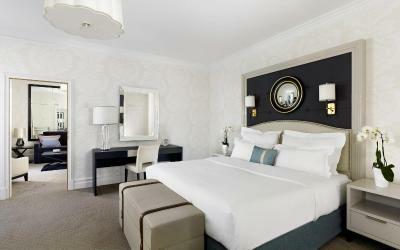 One older child or adult is charged PLN 270 per person per night in an extra bed. 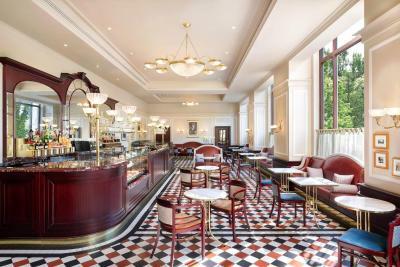 Hotel Bristol, A Luxury Collection Hotel, Warsaw accepts these cards and reserves the right to temporarily hold an amount prior to arrival. If booking a nonrefundable stay, guest will be asked for the credit card used to make booking upon check-in. If the guest shows a different card, the card shown will be charged and money returned to the card used when booking. Please contact Hotel Bristol beforehand if booking for a different person. 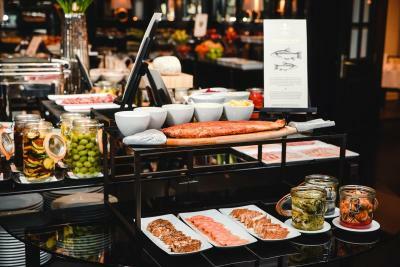 Guests can enjoy a 15% discount of food purchases made at the Marconi Restaurant (breakfast, brunch and drinks excluded). Food & Beverage outlets might be closed due to private events. In order to confirm their availability during your stay, please contact the hotel beforehand. Please note that a deposit of PLN 200 per day is required upon arrival for the use of such facilities as mini-bar, telephone and laundry. This deposit is fully refundable upon check-out if guests don't use the additional services listed above. 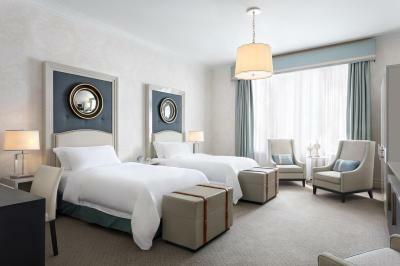 Guests must be 18 years or older with photo identification to reserve and register for a guest room. 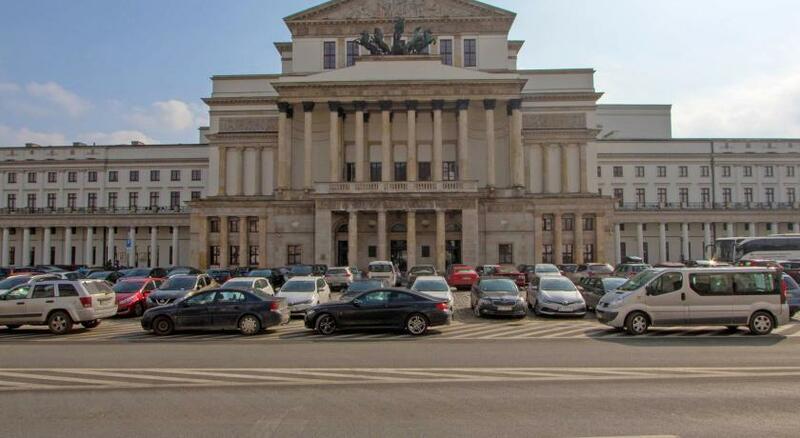 Late checkout between the hours of 12:00 and 18:00 is available for a supplementary fee of 76 PLN per hour. After 18:00, a supplementary fee equals to one night’s room rate. Please note that the policy may fluctuate depending upon the time of year and occupancy. Please note that smoking is strictly forbidden at the property both within the rooms and in the common areas. Failing to uphold this rule will result in a fee of PLN 2000. 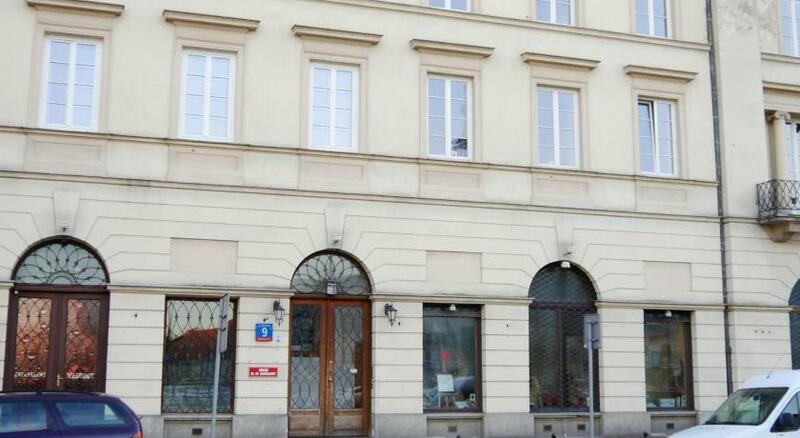 The property accepts dogs up to 18 kg of weight for a surcharge of 162 PLN per night. The building is amazing! It has such a long and rich history, it was a pleasure to stay in a place like this. Staff is super helping, they recommended us nice places and restaurants to visit. Want definitely get back some time. Windows in 6th floor rooms are small and permanently locked. You are not able to get fresh air from outside. On arrival by 1230hrs your receptionist David acknowledged the fact that I had booked a room with a WALK-IN Shower. He explained to me that it would take appr 20 minutes and that I would be upgraded to a suite. 40 minutes later and after my fellow travelers had received their rooms and since had left for lunch I was given the key to a room with NO walk-in shower and instead a cumbersome to clim in bathtub with a shower. I also did not appreciate being told over and over again that I would be upgraded to something I did not ask for. Either your staff do not know your various room categories or tried to impress me with an upgrade instead of a walk-in shower. With no porter to assist with my luggage I went o see David AGAIN and was told that whilst I have lunch he would look for alternatives. 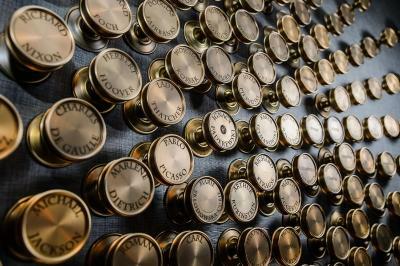 By 1500hrs I was given the key to another room only to find out that despite my earlier requests my luggage had not been transferred. This took another 10 minutes waste of my time by ending up taking my own suitcases and be late for my meeting. Needless yo say I was not impressed at all and as a seasoned hotelier and traveller I would have expected at least some sort of apology and instead received a notification of a late charge from the minibar which since has been waived as being incorrect. My 19 hours in your establishment made me angry on two occasions which certainly is not what one should expect from a hotel of your status, leave alone rates charged. For a 5* hotel I would have really expected a bath in my room but only had a shower which was a shame. 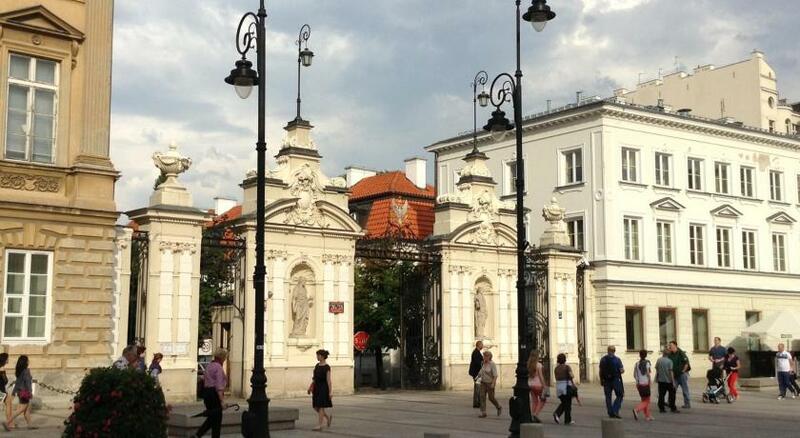 Excellent location right in the old city, very clean and comfortable rooms! I am a Bristol Elite Platinum Card holder. They sent me a letter to my room saying Welcome Silver card holder. I went to tell them that they made a mistake, They did not rectify the situation . In fact they did nothing. However they did say sorry. Great location the hotel was fantastic. 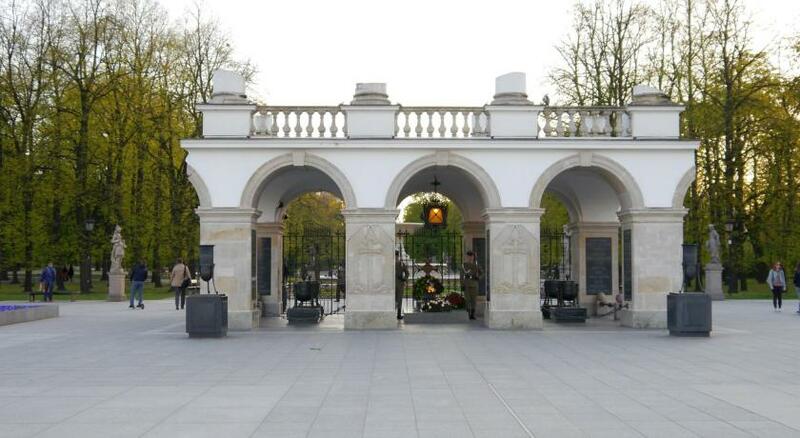 Excellent hotel of historical importance, good spa facilities and excellent breakfast buffet. Perfect location for venturing around the old town. The hotel staff was friendly and helpful.